OGDEN – The Utah State Board of Regents has selected Brad L. Mortensen as the thirteenth president of Weber State University. 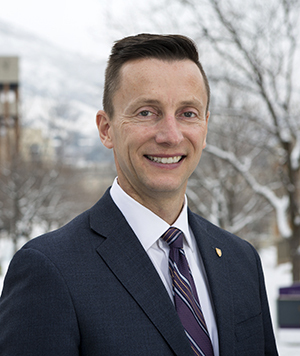 Mortensen was selected after a 21-member Presidential Search Committee, co-chaired by Regent Jesselie Anderson and Weber State Trustee Chair Nolan Karras, narrowed an extensive pool of applicants to four finalists. Visit weber.edu to learn more about Weber State University. For photos, visit the following link. For video, visit the following link.